Spring chinook smolts are released as high as Farmer Creek on the mainstem and also in Three Rivers at the hatchery, and fishing is best from Beaver down. Most anglers strictly targeting springers tend to work the river from Three Rivers down, or in the creek itself. The fall run gets going in the bay near Pacific City and through tidewater up to Cloverdale in September. The river above Cloverdale bridge doesn’t open for fall chinook until Sept. 16, but most years few of these big fish will head upriver until after that point when heavier fall rains lift the river level. System-wide, the peak catch is typically in October, but November fishing can be pretty good and a handful are taken into early December. 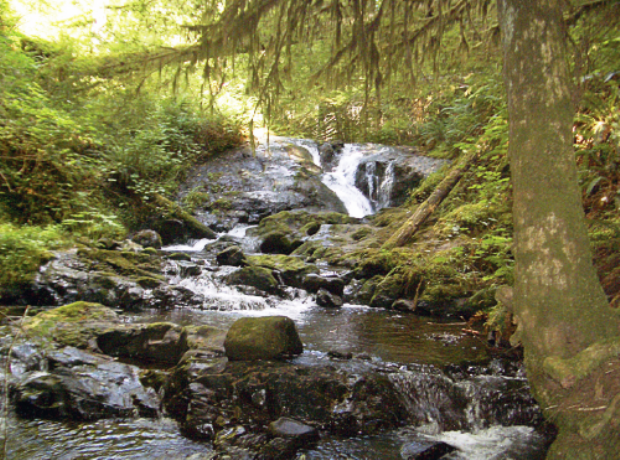 Coho typically enter the Nestucca river during the month of August and run through October. Be sure to check your regs as most of these fish are wild fish and generally cannot be retained. The Nestucca has both early and late winter runs. That means winter fish can be caught from late fall through early spring. The Nestucca has been known to produce more than 2,000 winter steelhead in a season. The number of hatchery steelhead harvested varies widely by year, but a good year can see over 2,000 in the mainstem and slower years will see less than 1,000 in the Nestucca plus a few hundred in the tributary. The early returning strain of winter steelhead typically peaks in December and the first half of January and go through March. Look for the first arrivals in early spring, along with a run of spring chinook. Generally, the best summer steelhead fishing is in the late spring around May and June, when the water level is still good and the numbers of fish are high. Summer steelhead fishing continues throughout summer and into fall. In warmer, lower water, try smaller presentations of bait and smaller and duller colored lures such as jigs under a float, darker spinners and spoons or flies. The first fall rains can spark a better steelhead bite in September and October, especially in the upper river, at a time when most anglers have turned their attention to salmon fishing farther downriver. Some years the summer hatchery run can come close to rivaling the winter harvest, with about 1,000 fish in a pretty good season. A slower summer steelhead season will tally about 500 fish. The mainstem Nestucca typically is in ideal fishing shape when the river level gauge near Beaver reads between 4 and 5.5 feet. In fairly high flows, consider fishing higher on the main river or in Three Rivers for most methods. Plunking with bait is a good high-water choice, with the best fishing at river levels of 6 to 7 feet, although this has potential anywhere from about 5 to 7.75 feet. Steelhead is open year round, and chinook during the spring and fall. Barbless hooks are required when fishing for salmon or steelhead in Oregon. Trolling baitfish or side drifting eggs or shrimp, Twitching jigs and throwing hardware like spoons and spinners can be effective as well. In the Tide waters, the Nestucca can get pretty crowded but the upper provide an escape from the pressure. Eye protection always recommended, preferably polarized! Nestucca River Water Levels are provided by the United States Geological Survey data system.